Students availing the education loan facility from the State Bank of India (SBI), during the admission session May to September 2009, will have to pay a lower rate of interest as the bank has slashed the rate by 200 basis points, or two percentage points. However, the changes will affect new borrowers only; the current customers will have to pay the earlier rates. The announced reduction in SBI’s interest rates on education loans implies that these loans will, May 1 onwards, be available in the interest rate range of 11-11.5 percent. SBI’s education loan portfolio is quite extensive – ranging from Rs 5,000-6,000 crore. According to a senior SBI official, the bank – which has 25 percent market share of the education loans segment – has cut the rates of interest with the aim of promoting education loans. 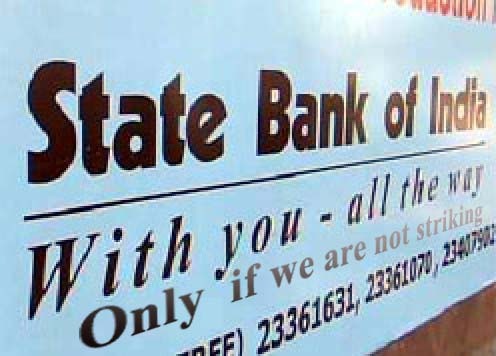 As per the announced change by SBI, for up to Rs 4 lakh loan, the interest rate has been cut from 11.75 percent to 11.50 percent; while for loans between Rs 4 lakh and Rs 7.5 lakh, the rate has dropped from 13.25 percent to 11.25 percent; and for loans over Rs 7.5 lakh, the rate has been slashed from 12.25 to 11 percent. In addition, female students availing an education loan from the SBI will have the added advantage of a 0.5 percent rate concession.